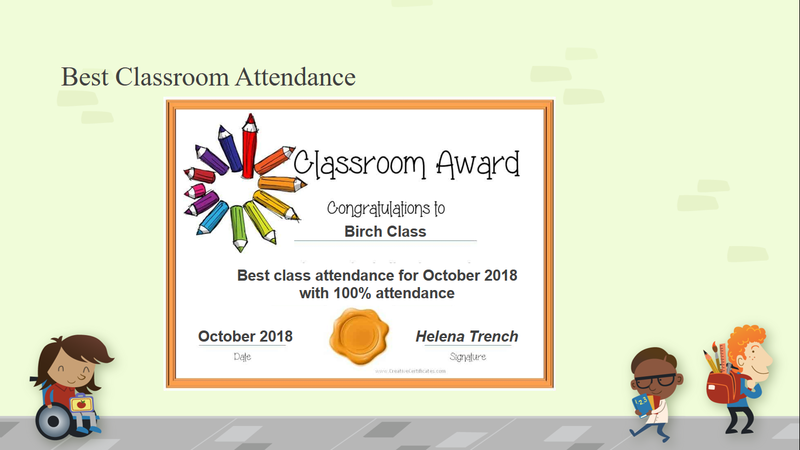 We are delighted to inform you that the class with the best attendance for October is the Birch class! 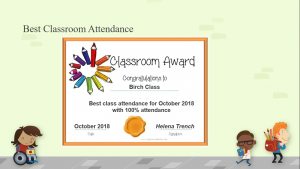 The Birch class had 100% attendance for the month of October. Each child was in EVERY DAY for the month, setting a new school record. 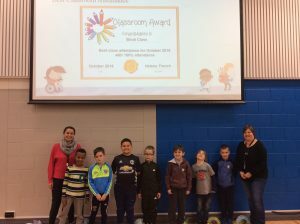 Congratulations to all the children and their parents in the Birch class!